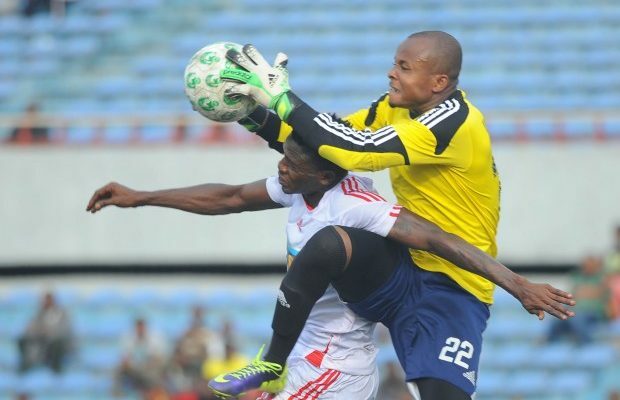 Ikechukwu Ezenwa, who captained Nigeria’s Africa Nations Championship squad that eliminated Benin Republic penultimate weekend to qualify for next year’s continental finals in Kenya, will start in goal for the Super Eagles against Cameroon in Friday’s 2018 FIFA World Cup qualifying cracker in Uyo. This was announced at the team’s press conference held at the Ibom Meridien Hotel, Uyo on Wednesday. South Africa –based goalkeeper Daniel Akpeyi, who was in goal in the November 2016 3-1 win over Algeria at the same venue, has finally been ruled out of action on Friday as a result of injury. Former junior international Dele Ajiboye, who is number one goal –tender for Nigeria Professional Football League table –toppers Plateau United, has been called in to replace Akpeyi. As at Wednesday afternoon, there had been no definite word from the Cameroonians to the Nigeria Football Federation as to their arrival time or mode of transport into Nigeria. Friday’s showdown at the Godswill Akpabio International Stadium will kick off by 5pm.